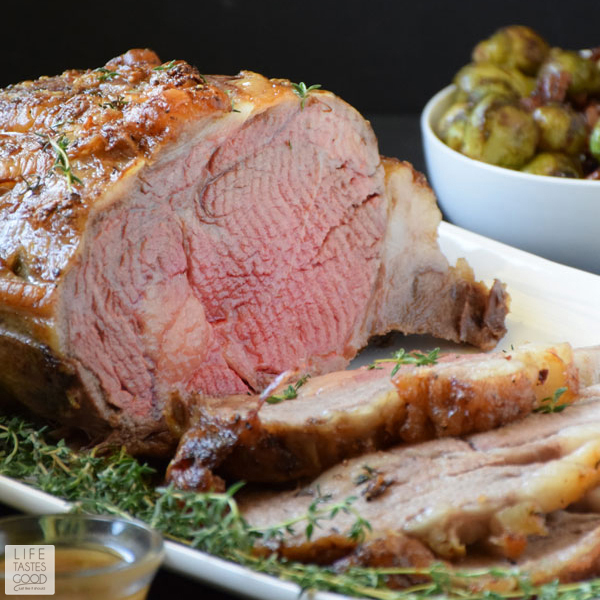 A Prime Rib Roast with a buttery soft texture on the inside and a crisp garlicky outside melts in your mouth like a luscious piece of chocolate! I just want to savor the glorious flavor as long as possible. 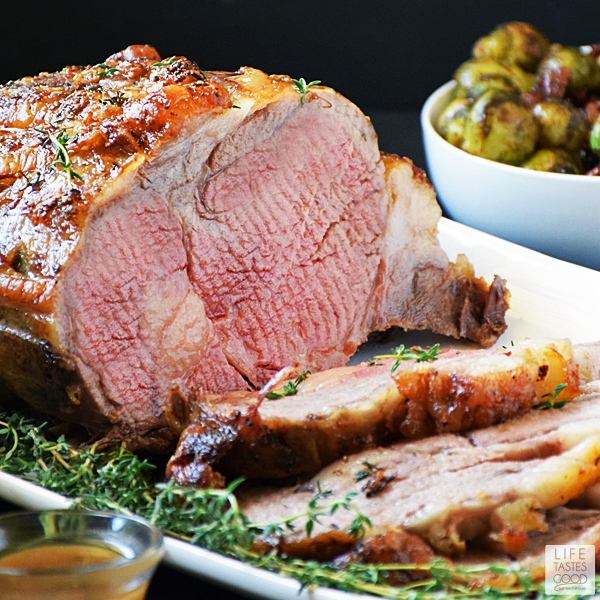 It tastes so good and is exactly why I always serve my Garlic Crusted Prime Rib Roast for our Christmas dinner. This post is sponsored by Certified Angus Beef® Brand in conjunction with a social media campaign through Sunday Supper LLC. All opinions are my own. 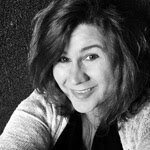 I remember the first time I made a Prime Rib Roast, I was terrified! The thought of ruining such an expensive cut of beef is enough to make many home cooks avoid it all together! Fear not! The amazing chefs at Certified Angus Beef® spent countless hours creating a new App that takes the fear out of roasting! The #RoastPerfect App (click here to download) is like having a chef in the kitchen holding your hand, so you can serve the perfect roast every time that will have your family and friends amazed at your skills! And it's FREE!! How great is that?! Special occasions call for special ingredients. It doesn't get any better than the Certified Angus Beef® brand. Certified Angus Beef® defines the standard by which all beef is measured. The best of the best packed with flavor and always tender and juicy! 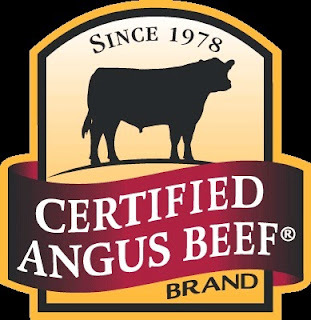 Did you know the Certified Angus Beef® brand is the ONLY Angus beef brand that has been around since the 1970's? It's true! Additionally, it is more selective than USDA Choice and Prime, as each cut must meet TEN (10) exacting standards of quality to earn the title of Certified Angus Beef® brand, thus ensuring the best quality in every cut. TEN! That's impressive! For more Roast Perfect recipes, be sure to visit the Certified Angus Beef® brand Pinterest Board. Begin preparing the roast the day before cooking by mixing 2 tablespoons freshly minced garlic, 2 tablespoons olive oil, 2 teaspoons sea salt, 1 teaspoon ground black pepper, and 2 teaspoons fresh thyme leaves in a small bowl until combined. Lay out plastic wrap in a cross. I lay one large piece horizontally and then top it with a large piece vertically. 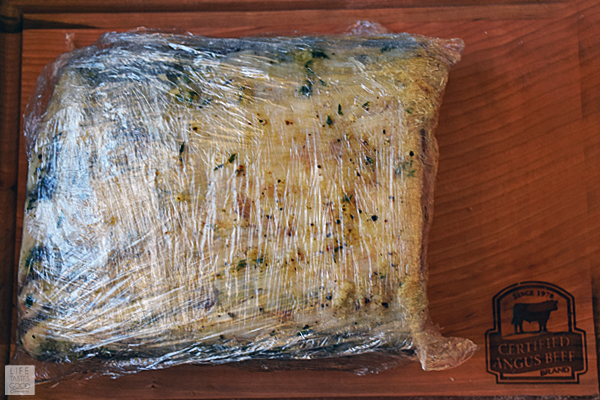 Place the roast in the center of the plastic wrap and slather it with the garlic mixture all over the roast and along the sides. Wrap tightly in the plastic wrap and refrigerate overnight. Tip: I place the roast in a container to catch any leaks just in case. Approximately an hour prior to roasting, remove the roast from the fridge and unwrap. 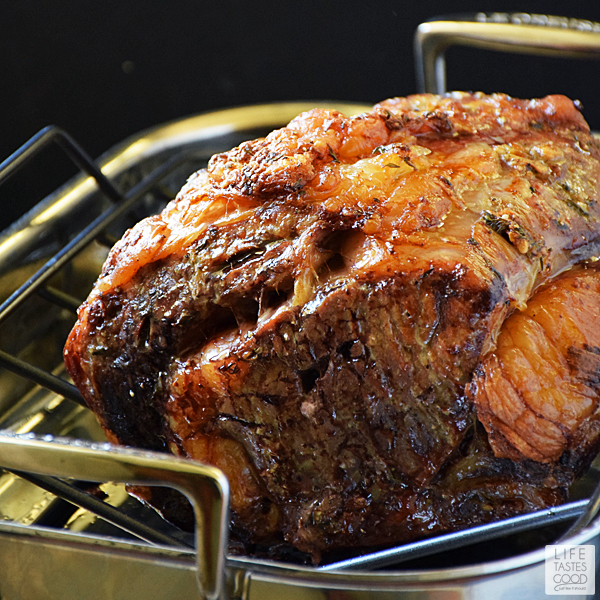 Place the roast on a rack in a roasting pan and allow it come to room temperature to ensure even cooking throughout. 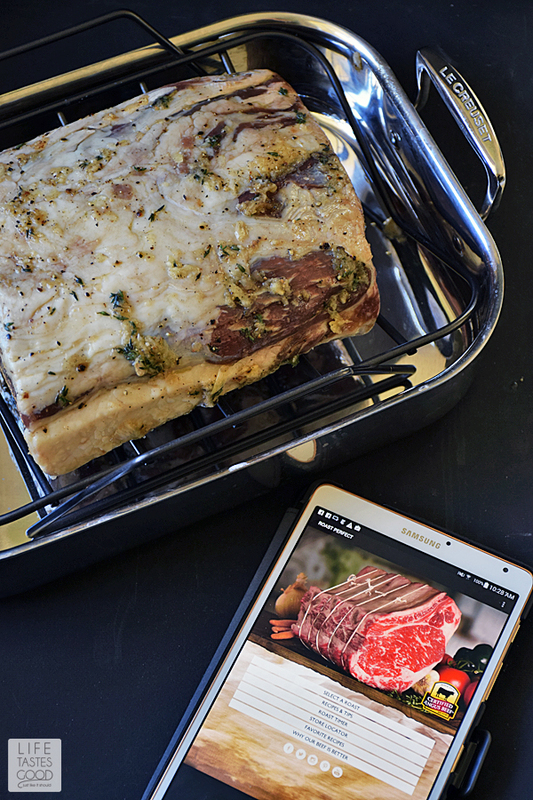 When ready to roast, use the Roast Perfect App Roast Timer. The App does all the work for you! You input the information for your roast and how you like it done, and the app will calculate cooking times and time it for you too! We like our roast mid-rare, so I preheated my oven to 450°F and roasted the meat for 15 minutes to develop a beautiful crust on the outside. When the App timer went off, I reduced the temp to 325°F as instructed and continued cooking for an hour and 45 minutes. I checked the internal temperature of the roast with my instant read thermometer just to be sure. It registered, perfectly, between 120-125°, so I removed the roast from the oven and let it rest as instructed on the App. An important point to remember when roasting is to always remove the roast about 10 degrees below your desired temperature. This will allow for the cook over that happens after the roast is removed from the oven. Remember, ovens vary, so always check the temp with an instant read thermometer just to be sure. To serve, slice against the grain of the beef. 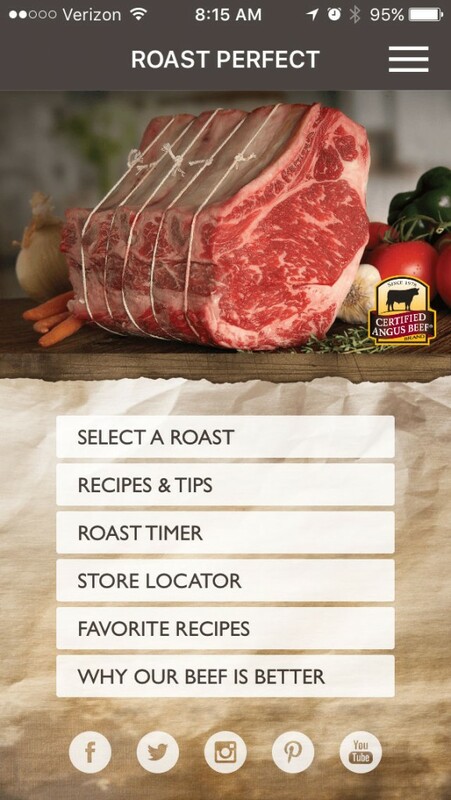 The Roast Perfect App gives a great demonstration on how to properly slice beef, so be sure to check it out! 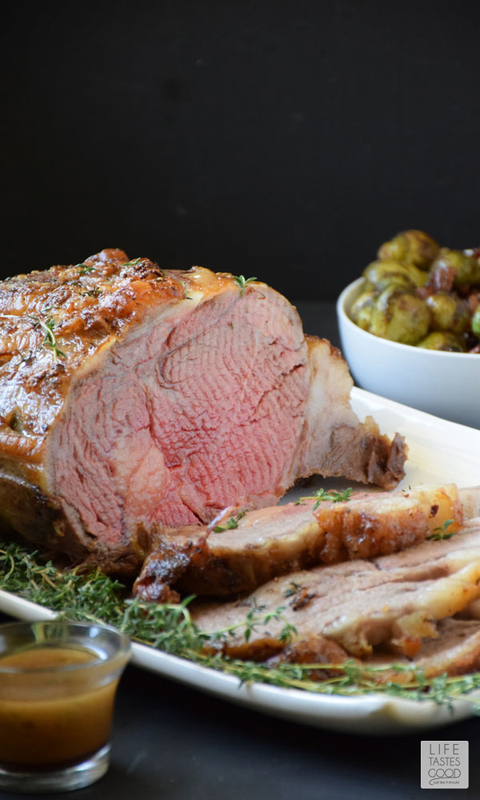 Now that you can roast expensive cuts of beef with confidence using the Roast Perfect App, I encourage you to pick up a Certified Angus Beef® brand Prime Rib Roast for an impressively tasty holiday dinner you and your guests will remember for a long time! Here's wishing you and yours a very merry holiday season filled with love! Begin preparing the roast the day before cooking by mixing 2 tablespoons freshly minced garlic, 2 tablespoons olive oil, 2 teaspoons sea salt, 1 teaspoon ground black pepper, and 2 teaspoons fresh thyme leaves in a small bowl until combined. Lay out plastic wrap in a cross. I lay one large piece horizontally and then top it with a large piece vertically. Place the roast in the center of the plastic wrap and slather it with the garlic mixture all over the roast and along the sides. Wrap tightly in the plastic wrap and refrigerate overnight. Tip: I place the roast in a container to catch any leaks just in case. Approximately an hour prior to roasting, remove the roast from the fridge and unwrap. Place the roast on a rack in a roasting pan with the fat cap up. Allow the roast to come to room temperature to ensure even cooking throughout. Reduce the temp to 325°F and continue cooking for an hour and 45 minutes or until an instant read thermometer registers between 120° and 125°F. Remove the roast from the oven and allow to rest for at least 15 minutes. My instructions are for a mid-rare roast. If you prefer a different cook on your roast, please refer to the Roast Perfect App for degrees of done-ness temperature recommendations. Enjoy! Cook time: 2 hrs. 00 mins. Total time: 2 hrs. 15 mins. 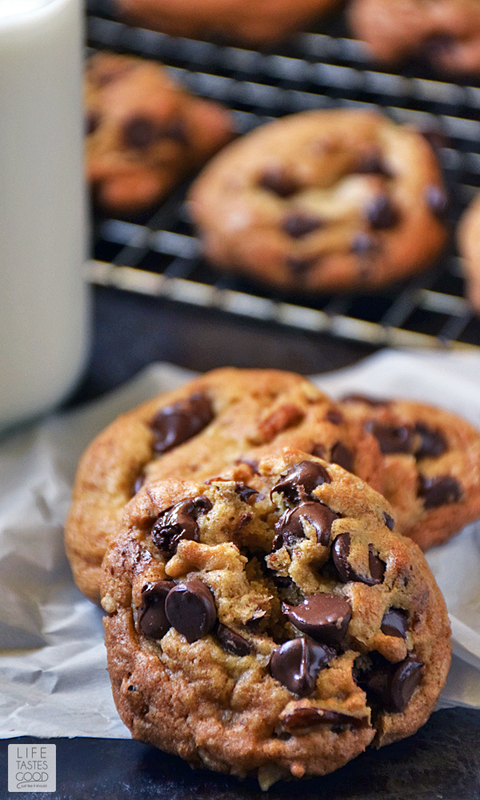 Don't miss my Chocolate Chip Butter Pecan Cookies coming soon! Click here to get the recipe delivered FREE right to your inbox! I love how very little else is needed in a recipe when you have an exquisite cut of beef! Your prime rib looks amazing!!! I agree, Liz! Using quality ingredients is key! Thanks! Happy holidays! I could stare at the photo of the finished roast in the roasting pan all day. ALL DAY! Wowsers. I love the Roast Perfect app! Your Standing Rib looks so good. I want to come to dinner at your house. Me too, Mary Ellen! It is so handy and takes the guesswork out of roasting! You are always welcome, so come on over anytime :) Happy Holidays! That golden garlic crust looks amazing! With the quality of Certified Angus Beef and the #RoastPerfect app, I love how easy it is to make a show stopping main dish. Yours is stunning! That is one GORGEOUS roast! I'm drooling just looking at it. Looks amazing. Pinning for later. The Mr. would love this for the holidays. Happy holiday season. Thank you, Theresa! I hope you have a wonderful holiday season too! That roast is like a dream come true! Mmm... you had me at crisp garlicky outside! Oh yeah! Can I make this recipe in a disposable large roasting tin? Thank you! I am doing a Prime Rib for 50 for a wedding reception. I love your garlic rub idea. I am getting a 15# roast. We are also doing chicken. Do I have to roast it longer because it is larger than your 5# or is cooking time after the initial high heat the same? ?